First, choose if you'd like to compete in normal mode or hard mode. You may then choose what genre you'd like to make your game, but it *must* be selected from the lists below. The original idea was for the genres to be randomly given to you, but we decided to hold off on that. Yet, you still have the option of receiving a random genre. You only need to let us know to "randomize" you, if you're looking for an extra challenge! Note: For normal mode, the game allows a lot of flexibility. However, your game must exhibit a general atmosphere of your selected genre. You will be judged on how well your game displays that genre. The point of a humor game is to make your players laugh. So, that's the simple goal here - to make a funny game! With this genre, the point is to scare your players. You have to make your game creepy and all that horrific stuff. The emphasis is to make an emotionally moving game, with a focus on making the player feel a certain way while playing your game. This is not to be confused with the "Romance" genre. A good example of this would be To The Moon. The game can range from gloomy to heartwarming. This genre would have an emphasis on suspense, discovery, and all that fun mystery stuff. Think of keeping your players thinking - just like a good crime-solving detective game. Or you can get creative with it. The goal here is to make your players feel like they are solving a mystery, so to speak. This is a weird genre, but it's really easy to make. It takes a LOT of writing to make it successful, though. All you really have to do is make the whole game run through pictures and text. More credit goes to Zylos, for the wonderful examples! King's Quest - Very simple to make, just have the player follow the mouse click to the destination. That's what most existing mouse scripts do already. If you're clever about it, you can even have the mouse also be what examines the environment by cycling between "walk here" and "examine this" type cursors. Myst - If you're good at drawing or know where to find decent background drops, you can use the mouse system for something like a first person perspective by clicking on points of interest on the picture and activating an event for it. Pong - I think a number of people have already made this before. Very straight forward, you just have to brush up a bit on your basic math and physics. Frogger - Perhaps one of the easiest arcade-like games to make. Just have a frog try to cross the map, and if any event-touch events get triggered... squish. Columns - Not an easy game to make but very possible. You have a trio of events fall down the screen, and can switch the order/position of them while the first one is still moving. Then you cross check to see if any of the events match up three in a row. Professor Layton - Technically, the whole of the series can be listed as puzzle adventure games, due to the core of the game revolving around you solving logic puzzles and such. Sounds like an easy thing to shoot for for this category! Diablo - Admittedly I barely remember playing this with Zeich, but it should be an easy thing to try to imitate in RPG Maker. Multi-leveled dungeon with legions of enemies for you to fight, sounds like a dungeon crawler to me. Dark Cloud - You're in a dungeon with ever floor like a maze, and you have to find that ONE enemy among dozens on that floor that has the key you need in order to proceed to the next floor. Sounds simple to do, and yet incredibly fun to play! MGS - The Acostrike team already made something like this, so stealth is definitely a possibility to make. You check to see if the player is in a certain location compared to the enemy and if the enemy is facing your way, and if they're visible... game over. Thief - Anyone remember this old computer game? With VXA, I imagine it's a little easier due to their region tiles, so you can determine which places are darker and which ones are not. If you're too visible in the light, you'll have enemies on your tail to deal with. Sonic Shuffle / Mario Party - It's fairly straight forward. You have a main game and main story, and you keep score with dozens of bizarrely random minigames to play and have fun with. Only difficulty I foresee is AI, but that's part of the challenge! Warioware - Honestly, this is the genre I'm hoping to get simply so that I can make a super fast spree of microgame madness. Just lots of little minigames that take mere seconds, back to back in a fun manner. Easy! Harvest Moon - Though its full of a lot of things, Harvest Moon is the most common example I can think of. 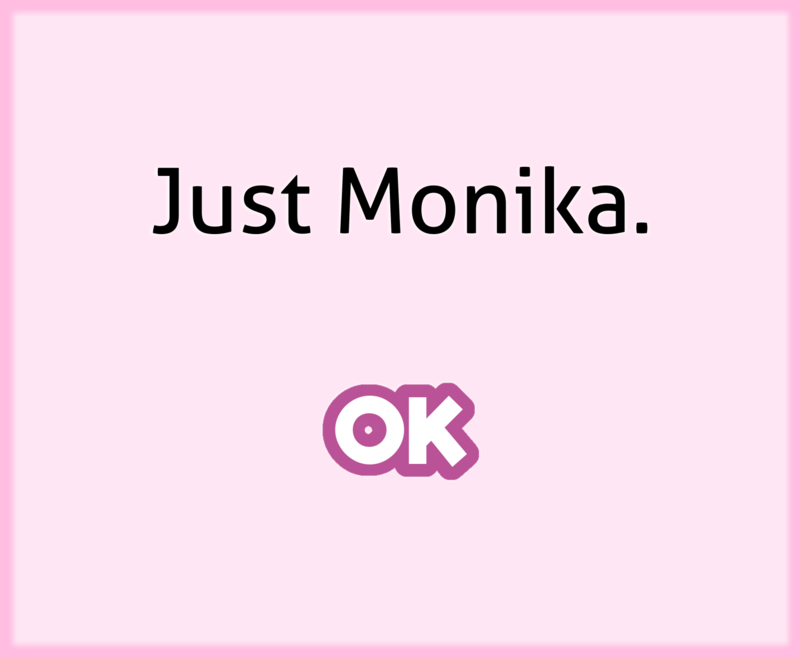 Pretty much, the goal of the game is to make other characters fall in love with you, marry them, and whatnot. Once again, you can feel free to get creative with it. Oh, but there IS a catch that makes this a little more challenging. It's very text-based, so you'd have to be sure that you're talented with writing. *BE SURE TO TELL ME YOUR TIME ZONE! Example: Say, I'm starting/ending on (Sunday) June 14th. That means I'd submit my project before 12AM on the 20th. To be safe, in this example, submit it by (Saturday) June 19th at 11:59PM. Make sense? *Note: You can sign up for the contest late, if you wish. The latest recommended time to sign up is (Saturday) June 20th. If you sign up any later than June 20th, your project will be due on (Saturday) June 26th This means that you will have less time to work on your project. *The judging period will START (Sunday) June 28th, and will last approximately two weeks, and is subject to change. Send me (acolyte) a private message with the download link to your project. You are responsible for uploading the project. After I receive your project, I will distribute a copy of it to each judge. We would prefer that you send your copy unencrypted. If you do encrypt it, do so at your own risk. That means that the judges will not be able to remove any bugs that hinder the gameplay. We meow have a general rules/FAQ list for contests. Hopefully, it's easier to navigate and includes all the information necessary. Click here for contest Rules & FAQ! Remember that we are doing a "flexible" contest week, so you will have differing starting times from everyone else. Be sure that you don't start until YOUR start day. You will also have differing ending dates, so be sure that you're submitting your project at midnight (your time) on your specific ending date. 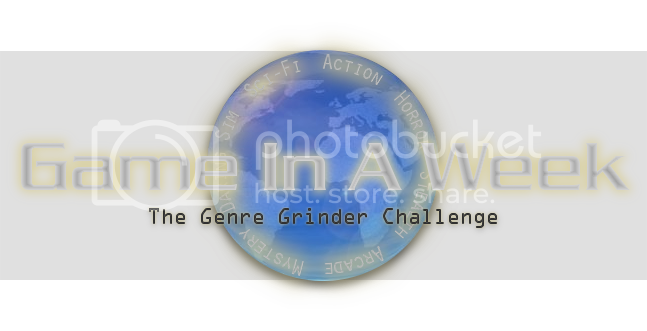 GIAW Completion Award: Awarded for submitting a game, regardless of placement. Anyone can participate, really. Well, obviously you'd have to be a member of the forum but, I digress. The rules of the judges remains the same as always. However, we have the right to decline judge applicants, due to past issues with judges dropping out. We want to make sure that we can trust our judges. There will only be a maximum of 5 judges, as usual. i just thought of that lol!! Ugh ... what to do, what to do. I am going to enter, but I am not sure exactly what genre yet. Also, I don't think any emails went out for notification. I went ahead and send out a very humble email notification to everyone. It should take a bit for us all to get them. I changed up the time offset wording a bit, because it was making me hella confused. Everyone can just tell me their time zone and I'll figure it out from there. This is exciting. I want to participate. But let me grind it over a bit. I haven't played many dating sims and I've never tried to make one. More like Dating Sim in a week. Also why can't I edit op? Stop oppressing me! I can judge if you need an extra one. I think I'll also make a game, exempt from and awards of course.. Can't have a judge officially enter now can we? lolz.. I think I'll try my hand at a dating sim too, since I've never tried one, and ill start on it this coming Wednesday. Eastern time zone. Eh, The more I dive into the Dating Sim genre, the less I want to do it. Is it alright if I switch it to Normal Mode Mystery? Apparently love is in the air. I...am incredibly nervous to be honest. This will be my first contest. Also, since this genre is before my time, I'm a bit nervous. I'm determined, however, to do a great job and show something I can be proud of. Naaah, don't be nervous. :-) We don't bite! Also, we've probably seen the worst there is already by this point! Ohhh Finally!!! Been waiting for this years GIAW. I had been in two of those so far and each year had tons of fun. Definitely joining this year's one too! Gotta get a better place this year though.